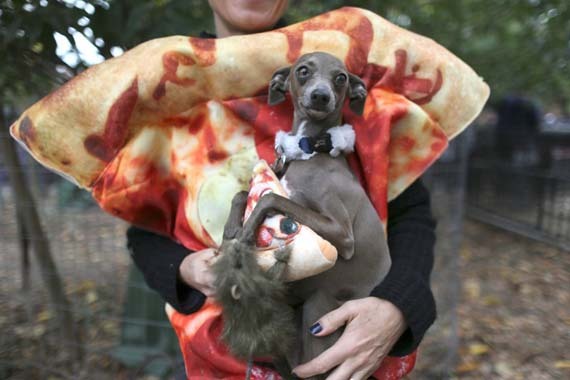 Nearly 400 four-legged contestants mixed it up with two-legged owners and admirers in Manhattan’s Tompkins Square Park for the 25th Annual Tompkins Square Halloween Dog Parade. (It bills itself as the world's largest Halloween dog parade, btw and the $$ raised guest benefit the park's dog run.) The top prize was won by some contestants who came all the way from Dallas with a Day of the Dead-themed look and not one but two Chihuahuas plus a Yorkshire terrier. There were all types of dinosaurs (Hello? Jurassic World was huge.) plus dogs posing as all sorts of other animals. 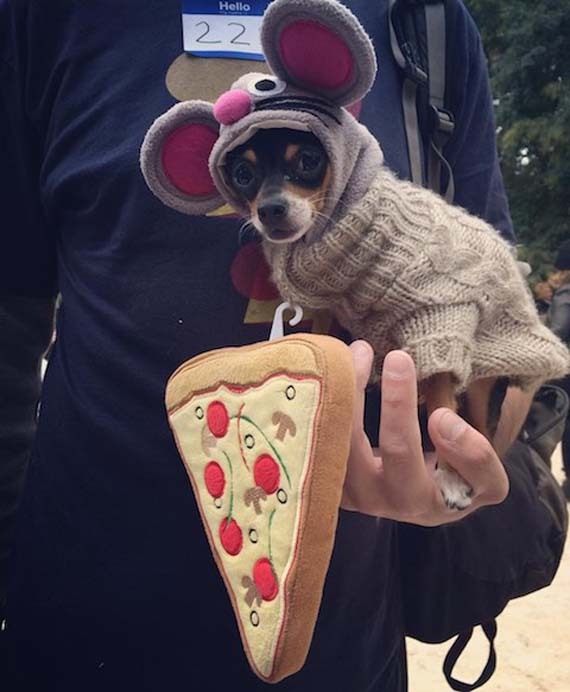 There were, of course, more than a few pizza rat pooches and one dog, accompanied by a woman wearing a nun’s habit, killed it as Pope Francis. Here are some of the cutest. I gotta get Lamonte a good Wookie onesey and go next year!